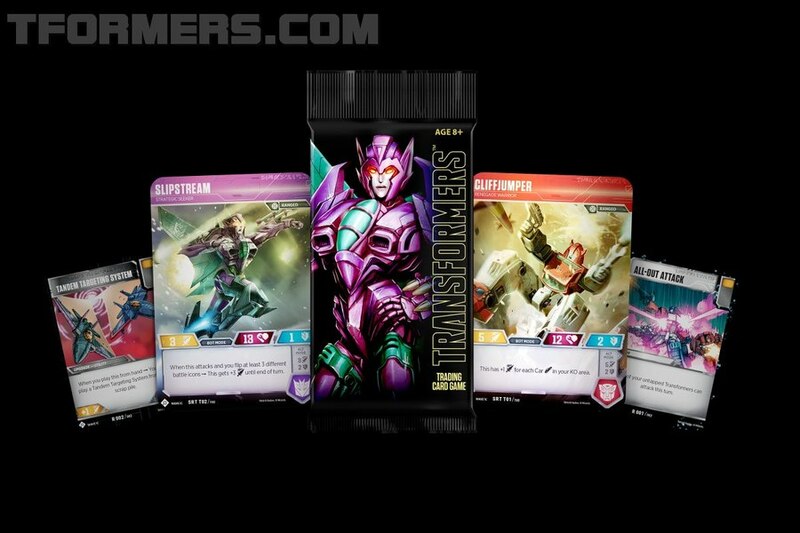 As Devastator clashes with Victorion, others rush to save lives. 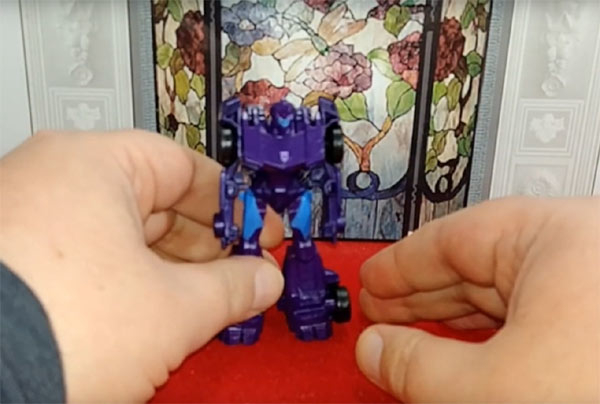 Including that of Optimus Prime, an effort spearheaded by... Shockwave? 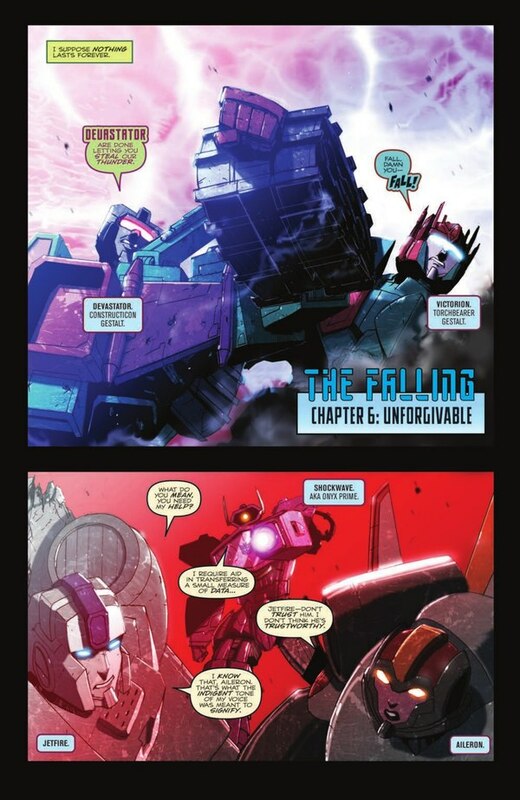 The Falling, Part 6: Unforgivable is written by John Barber with art by Kei Zama, Sara Pitre-Durocher and Livio Ramondelli, colors by Josh Burcham, and lettering by Tom B. Long. I like the color effects from Livio here! 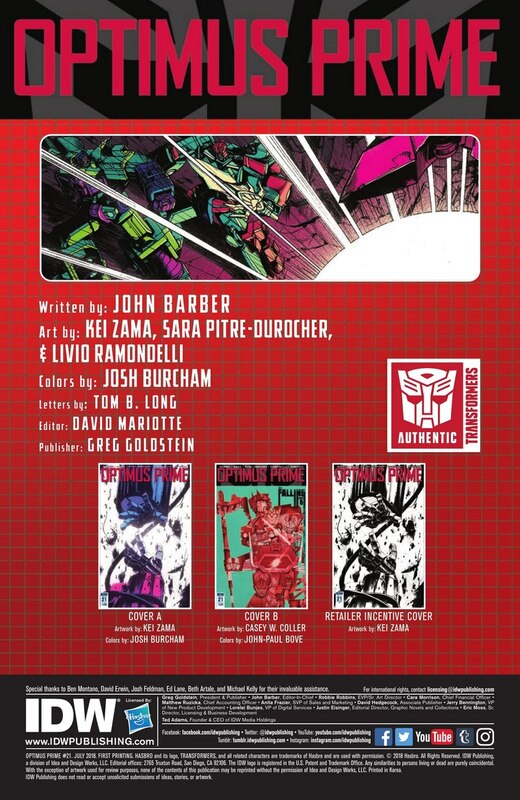 This issue is narrated from Pyra Magna's perspective, and as seen in the preview pages we have some confirmation as to why the Torchbearers were on Cybertron in Combiner Hunters. I'm not sure that was ever said explicitly before. 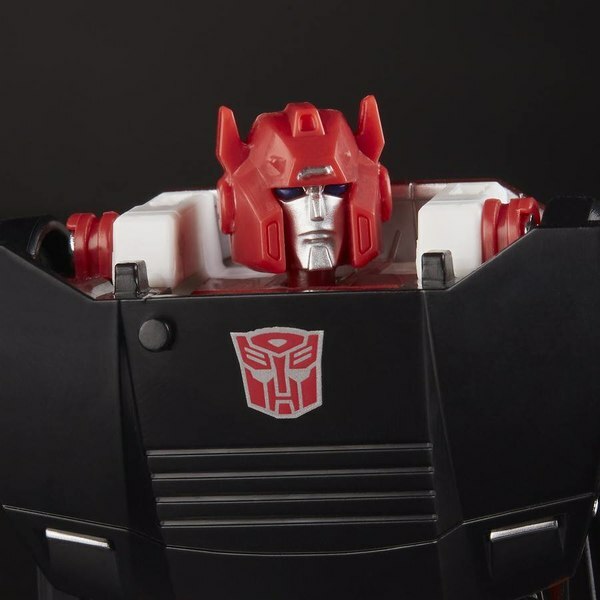 The issue more or less cements the closing of John Barber's take on Transformers mythology and history, and there's a focus on a loss of faith and mythology as manipulation. 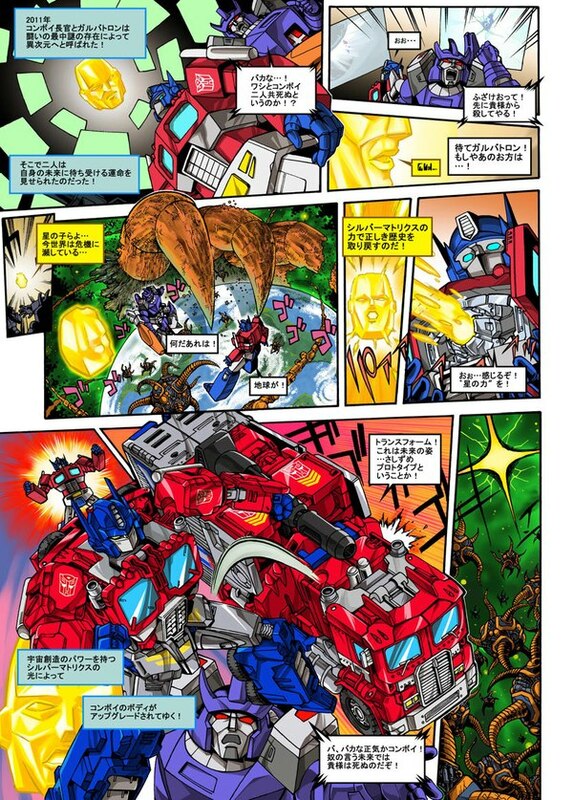 It's going to be interesting to see how Unicron fits into all of that and modifies it. As a resolution to The Falling, it resolves a lot of the immediate conflict and sets things off on what would be expected to be a new course if the end weren't nearly upon us. It's a lot to take in, being the culmination of so many comics yet nobody having time to digest the meaning of all of it because of the next event looming in the distance and coming up fast. That's extremely meta! It's almost a shame Barber didn't have space for Andrew Griffith in this book too so as to have an opportunity to send off nearly all his longterm collaborators in one issue. But Livio Ramondelli, Kei Zama, and Sara Pitre-Durocher are all given space to play to their strengths. 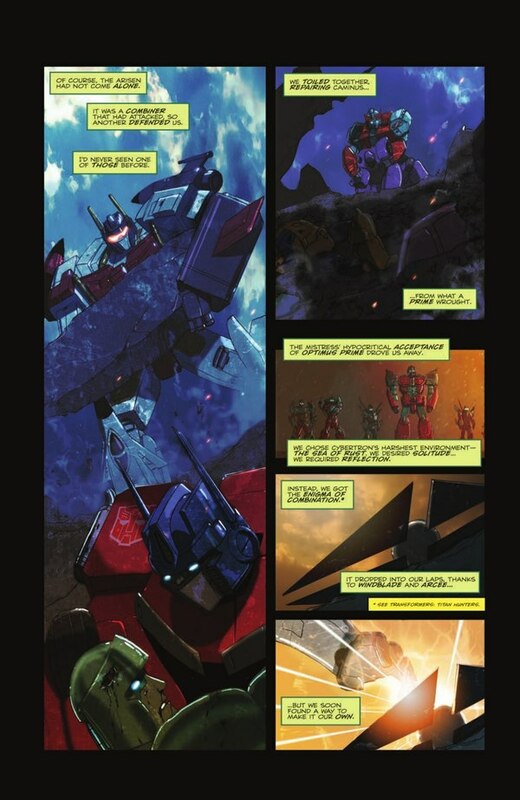 Livio does some of his best coloring around the swirling vortices of energy Prime and Bumblebee find themselves in, giving them a certain appropriate hazy uncertainty of being at times. 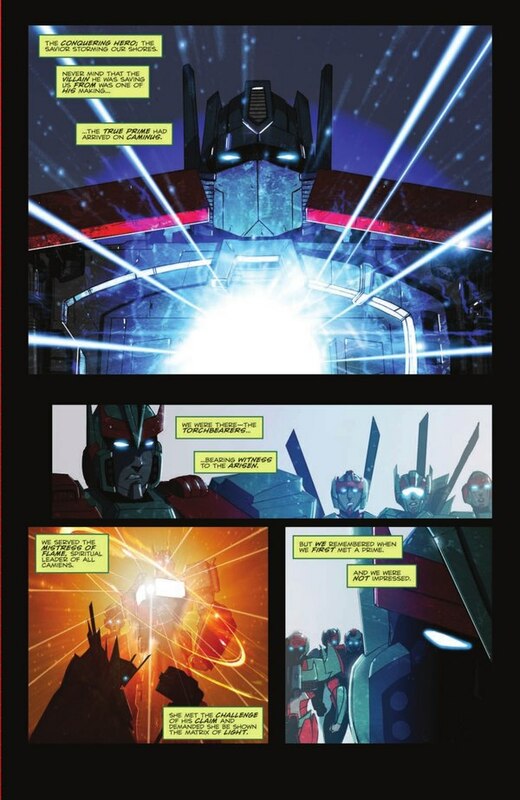 Sara gets to do some pages with both the Torchbearers and Starscream, and I will never be unhappy to see her draw any of those. 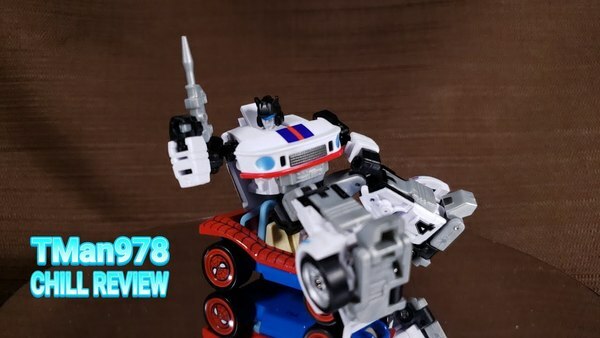 Kei Zama gets the scene that everyone will be talking about, which is a kind of moment that's not too common in Optimus Prime, and she nails it. 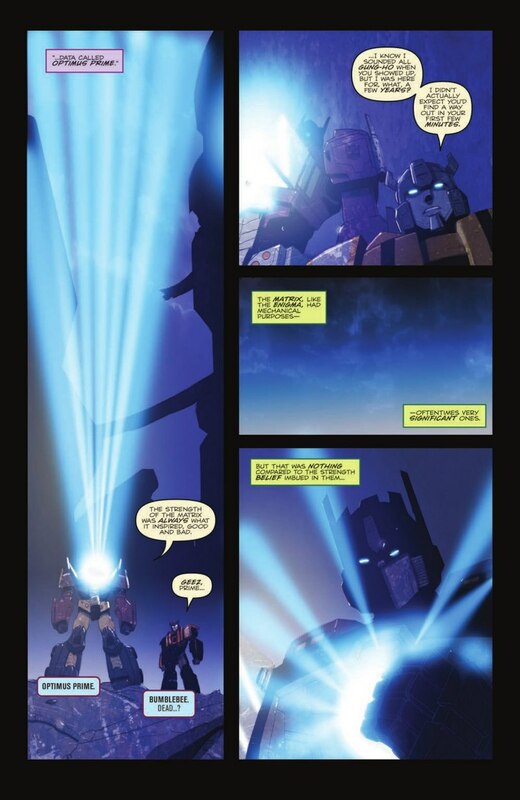 And she also gets one of the most literally visceral deaths I've ever seen in a Transformers comic. A little bit of something for everyone! Josh Burcham works his usual magic. Interestingly it looks like he's working a bit differently with each of the two artists' lineart this time. Maybe that's to represent a change of mood by the end of the book, or maybe he's trying to make the different artists stand out as opposed to blend seamlessly, since this is a special occasion. Either way, I like it. Zama's main cover relates to that big scene, so I won't mention here who those two hands belong to - but you can probably figure it out! The detail, the difference in wear and tear between the two - a lot of character is expressed without a lot of body present to express it with. 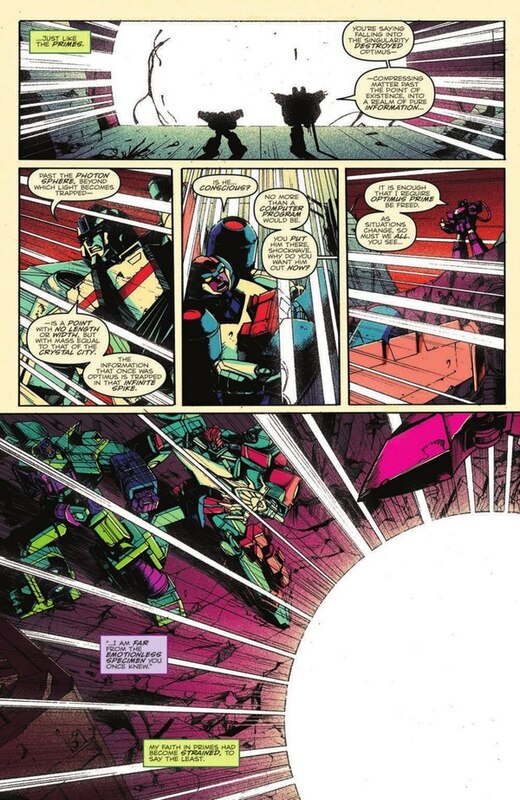 Burcham does a lot with a little too, providing some lovely shading. 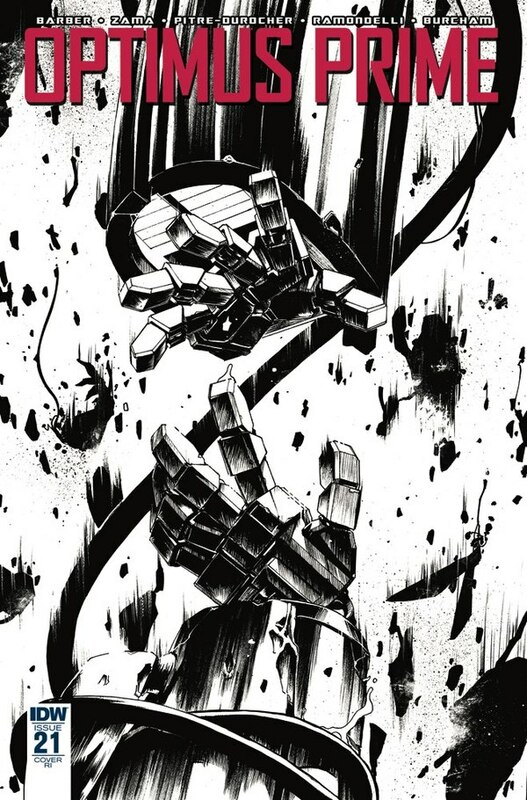 Casey Coller and John-Paul Bove's alternate cover finishes up(?) 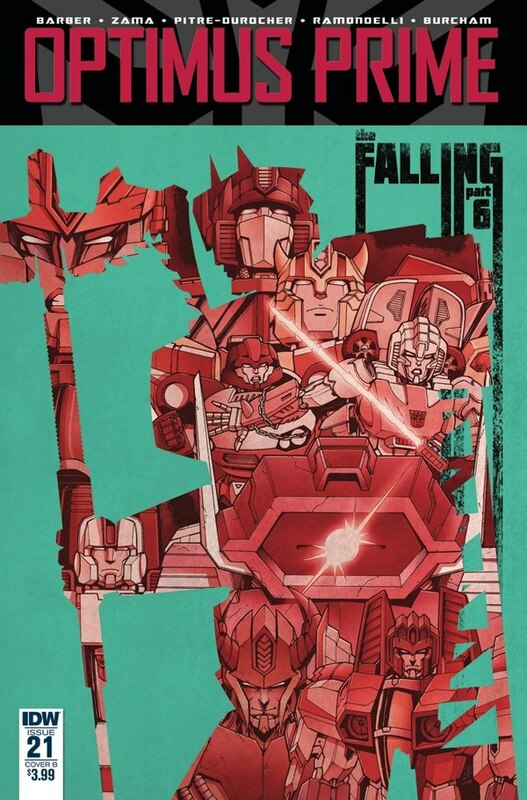 their series of posters using Pyra Magna's silhouette and color scheme to anchor a group shot. I'd love to see all of these put in one place someday. If this is the end of The Falling, I think it that on the whole it feels a little weak as a self-contained story. That's kind of a weakness of Barber's in my opinion; his flow is best suited for a continuing story and discrete stopping points are sometimes hard to come by. But in terms of that larger, continuing story there's been a lot of fun and fascinating development here. 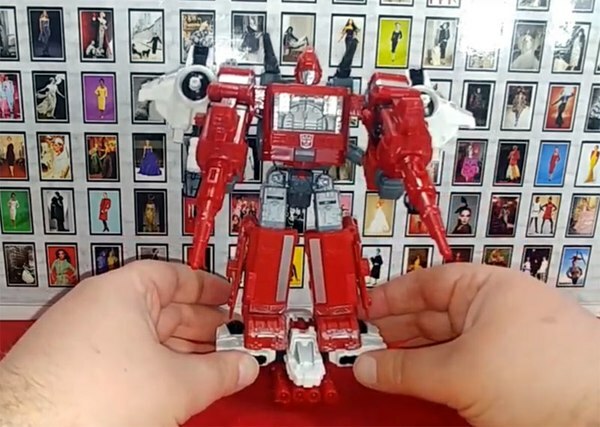 How that will affect the end nobody can say, but at least when all's been said and done we seem to have gotten the complete picture of IDW Cybertronian history. Assuming Unicron doesn't throw us some major "Yes, and" to consider. And I don't think that's a safe assumption to make.